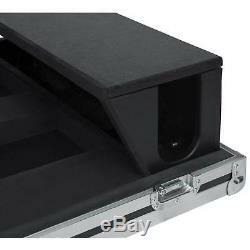 Gator G-TOURPRESL32III ATA Presonus Studiolive 32 Series III Wood Flight Case. 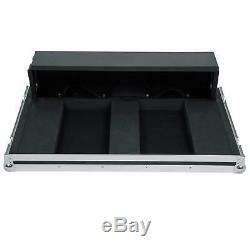 Gator Cases G-TOURPRESL32III ATA Wood Flight Case for Presonus Studiolive 32 Series III Mixing Console with Doghouse Design. Gator Cases G-TOURPRESL32III ATA Wood Flight Case Features. Custom Flight Case for the Presonus 32 Channel StudioLive III Series Mixing Console. 12mm Plywood Construction Armored in Rigid Laminate. 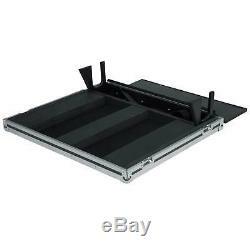 Aluminum Edging Assists in Aligning the Lid to Base When Latching. Doghouse Design for Easy Multi-Pin Snake Connection. EVA Foam Protective Interior Custom Fit to Mixer. Four Rugged Casters, Two Locking. Built-To-Last Commercial Grade Plated Hardware. Signature Gator Red Lockable Twist Latches and Spring-Loaded Rubber Gripped Handles. 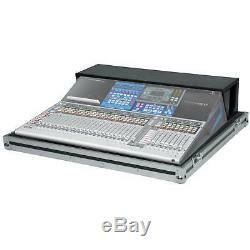 The G-TOURPRESL32III Box Includes: (1) Gator Cases G-TOURPRESL32III ATA Wood Flight Case for Presonus Studiolive 32 Series III Mixing Console with Doghouse Design. Color: Black Handles: Spring Loaded Rubber Grip Latches: Twist Latch UPC Code: 716408545073 Interior Dimensions Interior Length: 31.40 " Interior Width: 23.20 " Interior Height: 9.60 " Exterior Dimensions Exterior Length: 34.90 " Exterior Width: 32.00 " Exterior Height: 13.30 " Exterior Weight: 88.00 pounds. Two Retail Locations &###x2022; One Massive Warehouse &###x2022; Thousands of Items in Stock &###x2022; Fast Free U. &###xA9; 2017 I DJ NOW. Any use of this material including all content, images and design, without prior written consent from IDJNOW, is strictly prohibited by law. This listing is currently undergoing maintenance, we apologise for any inconvenience caused. 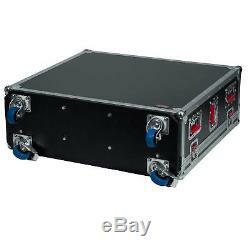 The item "Gator G-TOURPRESL32III ATA Presonus Studiolive 32 Series III Wood Flight Case" is in sale since Tuesday, November 14, 2017. 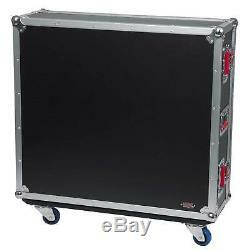 This item is in the category "Musical Instruments & Gear\Pro Audio Equipment\Cases, Racks & Bags".